The aftermath of the attack has also seen Canterbury pull out of the final round of the Plunket Shield while Martin Guptill and Lockie Ferguson have made themselves unavailable for Auckland"s match against Otago in Dunedin. 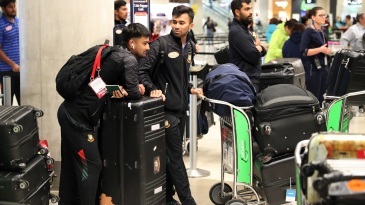 On Friday, the majority of the Bangladesh team were heading to the Al Noor Mosque which is situated less than a mile from the ground on the edge of Hagley Park when they witnessed the unfolding attack. 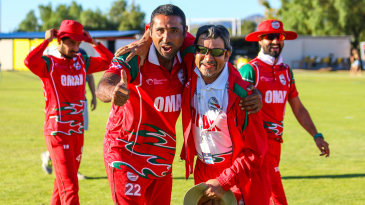 After waiting inside the team bus and making frantic phone calls, including to ESPNcricinfo correspondent Mohammad Isam, they then hurried back across the park after making their own decision to leave the bus before being put into lockdown at the ground. ALSO READ: "There"s shooting here, please save us"
"This is shocking. This will change the entire fabric of international sports hosting. I think everything changes now," he said. "We"ll certainly be having to look at our security in depth. I think the idea of New Zealand being a safe haven is gone now." "We were very close to the mosque, and we could see from the bus. We must have been about 50 yards from the mosque. I would say we were really lucky. Had we reached even three or four minutes earlier, we probably would have been inside the mosque." 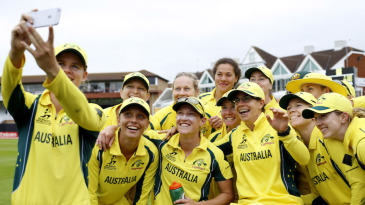 The ongoing Australia Women Under-19 tour based in Christchurch was also cancelled after the attack. The next major tour New Zealand are set to host is when England visit for Tests and T20Is from late October with Christchurch expected to be one of the venues for the two Tests. "The team showed a united front in terms of the decision," Jeremy Curwin, the Canterbury Cricket CEO, said. "It is clear that this tragedy will affect people in different ways, and Canterbury Cricket is here to support our players however we can. We fully respect their decision, and I am incredibly proud of how they conducted themselves throughout this process." "Both Martin and Lockie felt personally uncomfortable making the trip to Dunedin given the events in Christchurch, and also, the feelings and concerns of their partners and families," Simon Isley, the Auckland high-performance manager, said. "Auckland Cricket and New Zealand Cricket completely respect and support their decision. We understand that at times like this, families come first." White said: "This isn"t about cricket; it"s about something much bigger and much more important than that. It"s about life, it"s about respect; it"s about family and community. 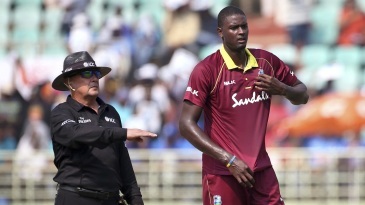 Cricket and sport take a back-seat to personal welfare." "Our players fully respect the Canterbury team"s decision," Central Districts CEO Pete de Wet said. "We are all so saddened by the terrible tragedy in Christchurch, and out of respect, neither our players nor team management will comment further on the Plunket Shield championship until the completion of the final round." 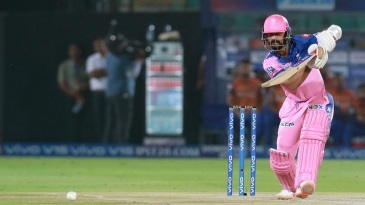 Leading New Zealand players voiced their shock at what took place with captain Kane Williamson posting in Instagram: "Like the rest of New Zealand, I am struggling to understand what has happened today. The need for love in our country has never been higher and I send all of mine to the victims, their family and friends, the Muslim community and every other heartbroken New Zealander. Let"s come together."